Although some people think of mice and rats as child and parent, these two are different organisms. Their biology is different and their life history is different. Therefore, it’s important to point out a few key distinguishing characteristics. The body of a mouse will grow from as little as 2″ to as much as 3-1/2″ when fully grown. The rat’s body will be as small as 7″ but grow to a length of nearly 10″. Mice will weight as little as 1/2 ounce to to up to 1 ounce whereas a large rat may weigh more than a pound. Color will vary in both mice and rats though they are most commonly seen as gray to brown. A mouse will squeeze through an opening as small as 1/4″. A rat manages to get through an opening as small as 1/2″. 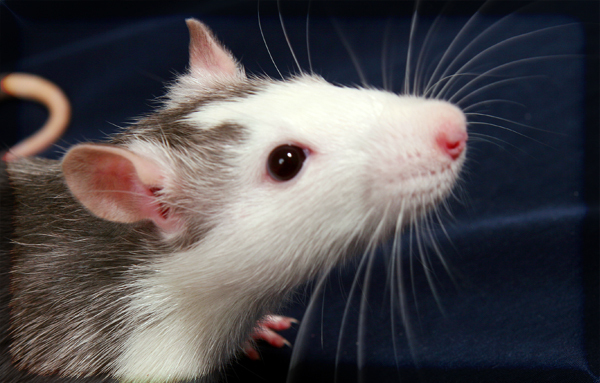 Both rodents have poor eyesight and rely on their acute sense of smell and hearing to compensate. The most effective means employed to control rodent is exclusion. If openings are eliminated, in most cases, rodents cannot get into a structure. However, sometimes a dirt floor may exist inside a structure to which a burrowing rodent may find entry. Exclusion or rodent-proofing, requires strong material through which rodents may not be able to gnaw such as concrete, sheet metal, coarse grade steel wool, hardware cloth and crushed glass. The next step in controlling rodents is eliminating food sources. People are often surprised to find out that foodstuffs that had long been forgotten are the source of food for rodents. The bird seed up in the attic or in the garage or a box of food which fell down behind a shelf somewhere. Therefore, it is important to seek those things out. Also, any food in boxes or bags as well as the daily garbage must be protected by placing these items into impervious containers of metal or glass. The last step in rodent management is removal of rodents from a structure. Trapping would be the another possible step in rodent control. There are “humane” traps which usually capture rodents without harming them. There are also snap traps and glue traps which may be used for this purpose. Finally, the most common rodent control technique is the application of rodenticide bait. Most products used today are anti-coagulant type baits. These kill the rodent by thinning the blood until the animal hemorrhages internally. The animal suffers some dizziness, then dies from the loss of blood. Elimination of rodent using anticoagulants typically takes from five to ten days.